Born in 1951 in Paris, lives and works in Paris, France. Blek le rat is a French stencil-artist known as one of street art pioneers. He begins to paint in the street in 1981. Today, his work influences thousands urban artists worldwide. 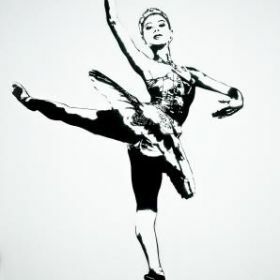 Among them, the English artist Bansky:" every time i paint something, i realize Blek le rat just did it 20 years ago ! ".